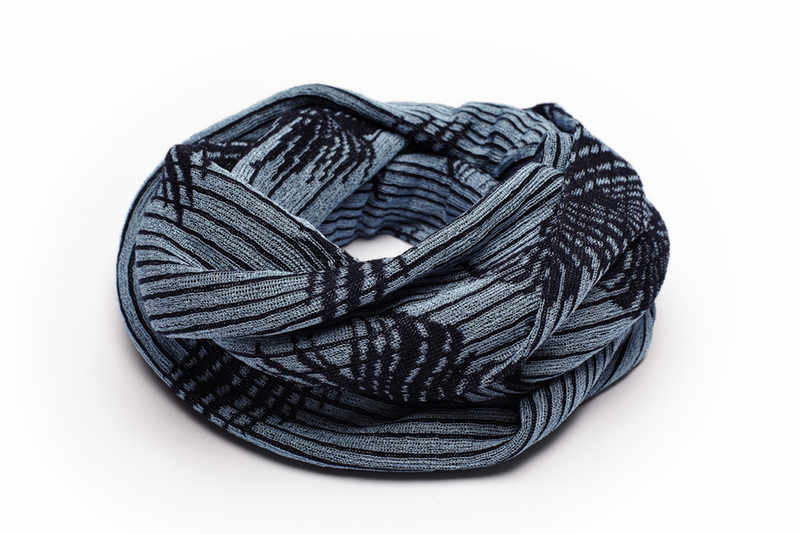 The scarf is a circle to wrap around your neck twice. Doubble layered. 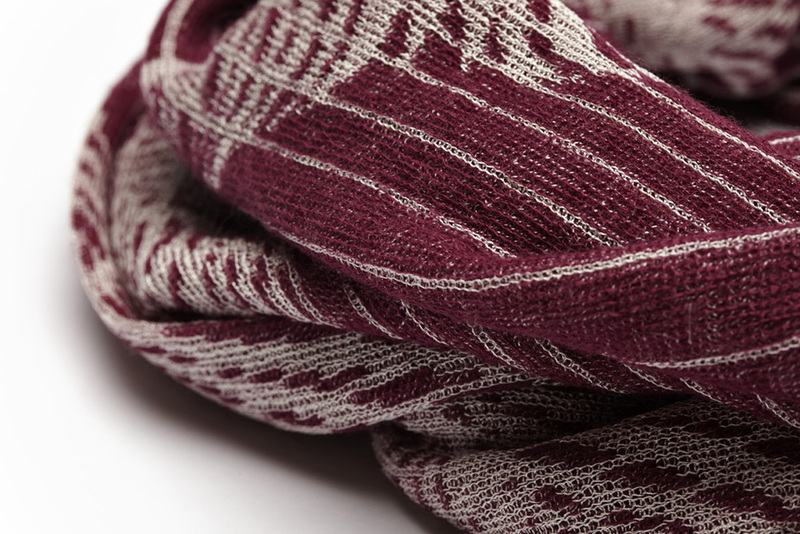 Jacquard knitted viscose & wool yarns.